It's important to have a good dental hygiene and regular dental checkups to keep your pearls sparkling and healthy because a great smile can take you places and healthy teeth assure your general health. However, when toothache strikes, you need an experienced dentist to take good care of your teeth. 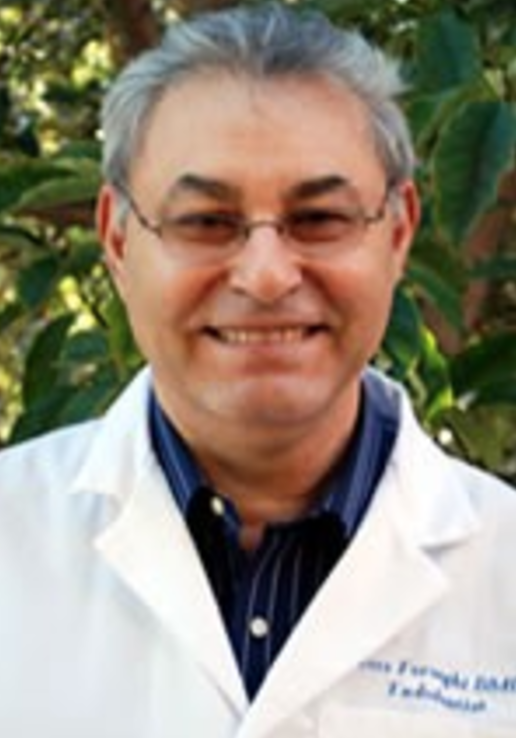 Dr.Ross Forooghi is a dentist specializing in endodontics since 1984. Endodontics is a specialty of dentistry recognized by the American Dental Association, and deals with the tooth pulp and the tissues surrounding the root of a tooth. Dr. Ross Forooghi graduated from London University and Colombia University in New York. He has been serving the Jewish and Persian communities and has the experience of working with top dentists for over twenty years. Having taught in New York University in the endodontics department, he now teaches at university of Los Angeles (UCLA). He is also a member of San Fernando Valley Dental Association and American Association of Endodontics. His clinic offers highly skilled root canal and a wide spectrum of endodontist services. At his clinic, you can be assured of experiencing a high-quality, honest standard of care for each patient in a comfortable, clean environment. When you walk in for the treatment, a comprehensive clinical and radiographic examination is performed to diagnose your tooth condition and determine if the tooth is a good candidate for endodontic treatment. A non-surgical treatment is given to eliminate the diseased pulp and the root canal system is thoroughly cleaned and sealed.